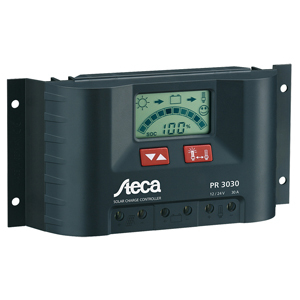 The NEW GP-PWM-30 is a 12 volt flush mounted PV charge controller rated for a continuous solar current input of 30 amps. 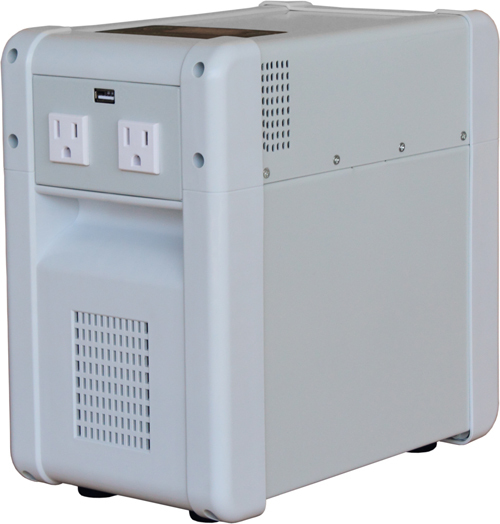 The GP-PWM-30 uses pulse width modulation (PWM) technology and a unique four stage charging system with optional equalize setting, to charge and protect your battery bank. 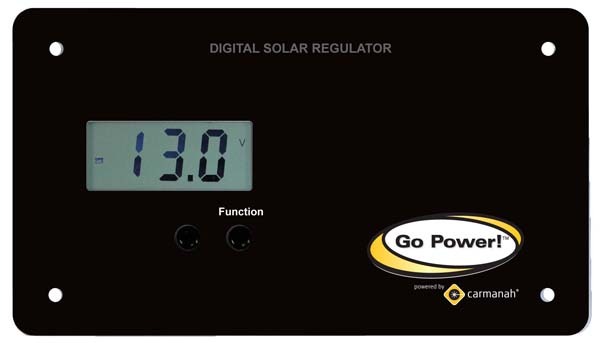 The GP-PWM-30 features a LCD digital display that shows solar array charge current, system battery voltage and battery capacity. 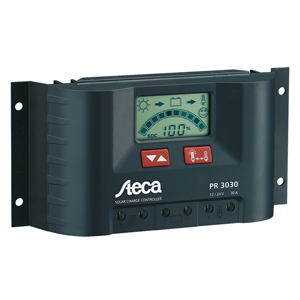 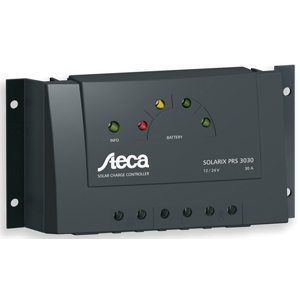 The Steca Solarix 2401 and 4401 controllers complete the product range of the Solarix Omega 30 Amps controller to 40 Amps solar current, available in 12 V, 24 V and 48 V. The load current is limited to 10 Amps. 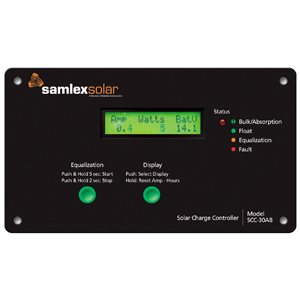 The charging procedures are based on voltage levels which can be individually adjusted by four buttons behind the front cover. 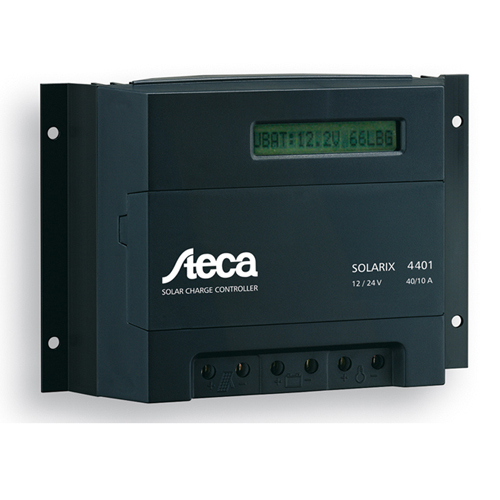 The Steca Tarom is the high end solar charge controller optimally designed for demanding telecom applications and complex off-grid PV hybrid system architectures. A huge variety of exiting features allows the user to adapt this controller to the special needs of the specific installation. 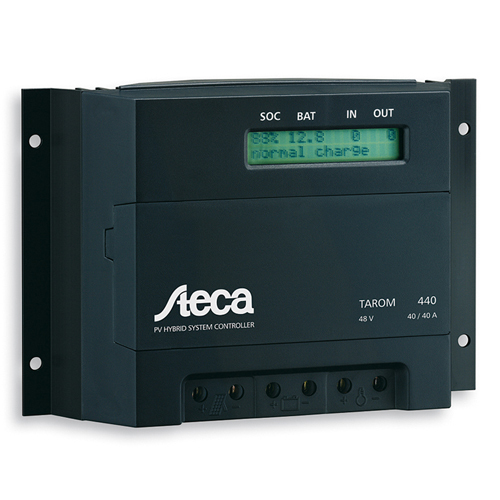 The optimised SOC calculation of Steca is implemented in the Tarom. It is your best choice for the medium and large power range (up to 2400 Wp). 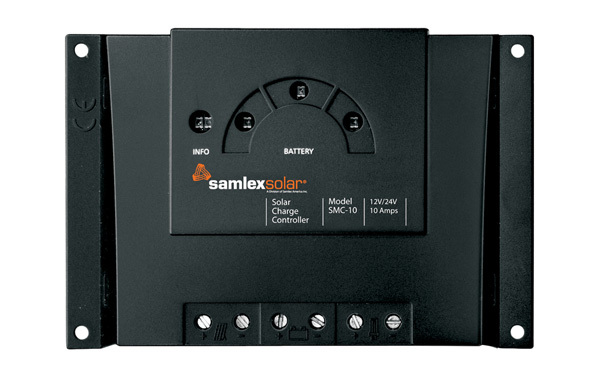 Multiple Tarom 440 controllers may be connected in parallel for larger PV arrays. 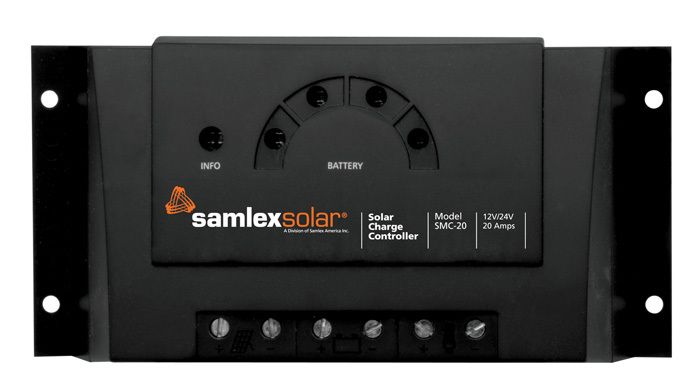 Additionally it is possible to connect further devices like a temperature sensor, a datalogger and a remote switch to configure and monitor the photovoltaic system optimally. 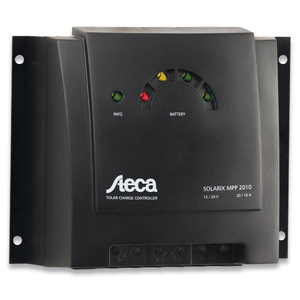 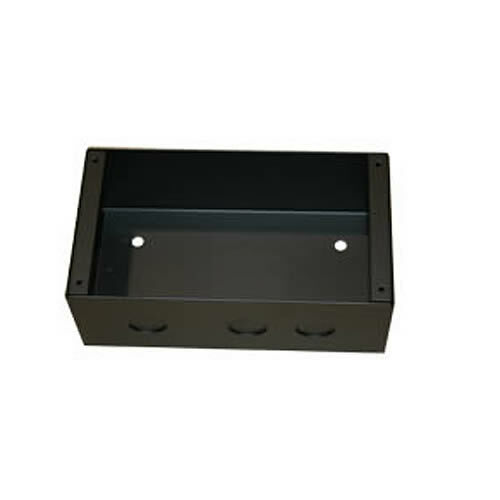 An in built Ah counter gives additional valuable energy balance information to the user. 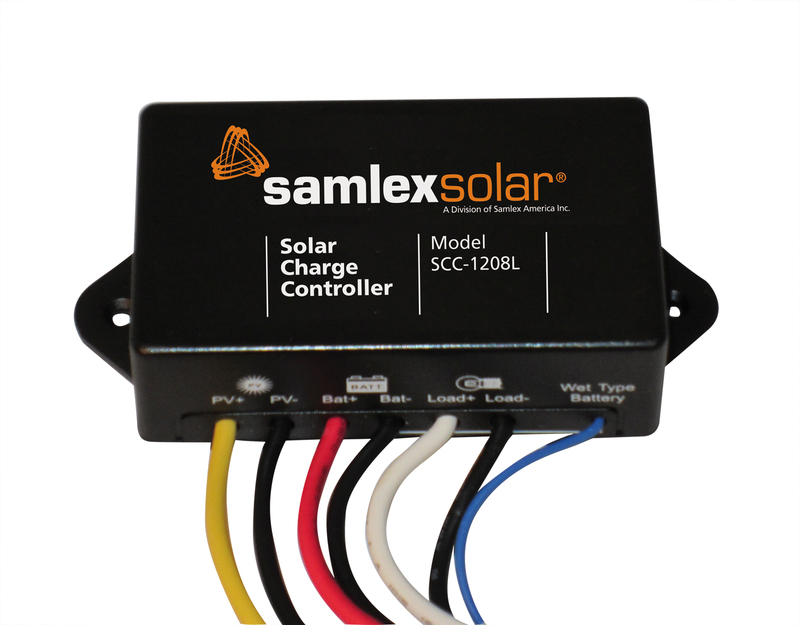 Samlex 30 Amp Charge Controllers regulate current and protect your batteries from over-charging. Features of this 4-stage Charger include: LED status indicators, LCD display and 8 charge settings for most battery types. 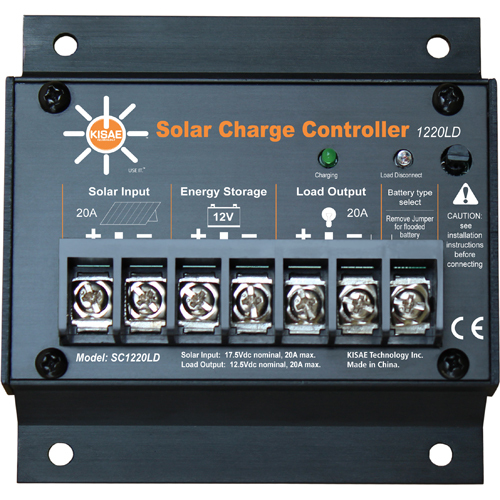 The SCC-1208L Charge Controller is Micro-controller based for automatic, intelligent operation designed for 12 V nominal solar panels and 12 V battery systems. 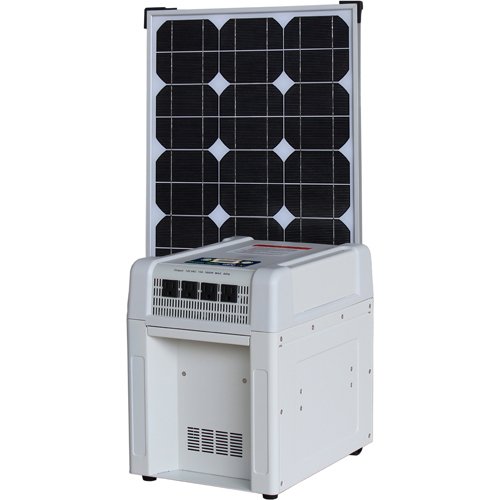 It has 3 Stage charging (Bulk, Absorption, Float) for 100% return of capacity and long battery life. 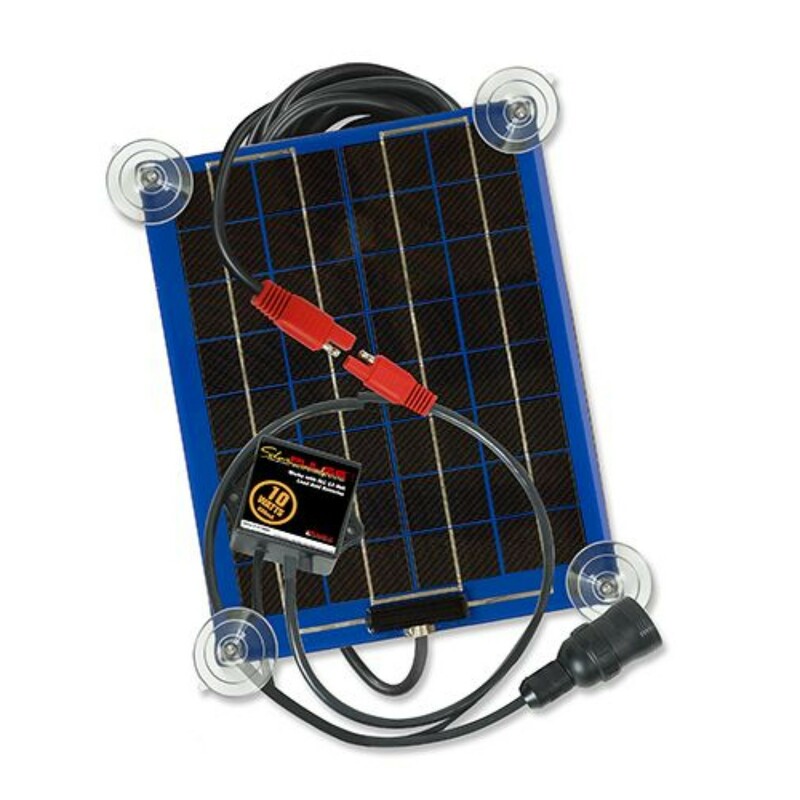 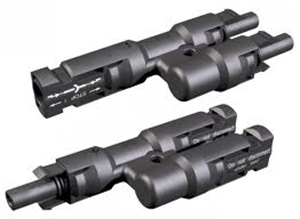 It can be used with 2 types of batteries: Flooded/Web Cell or Sealed AGM. 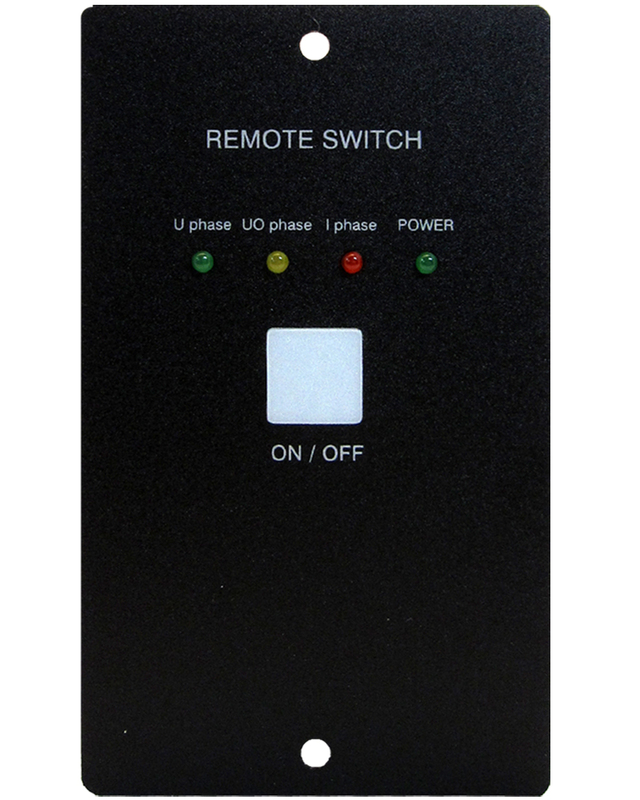 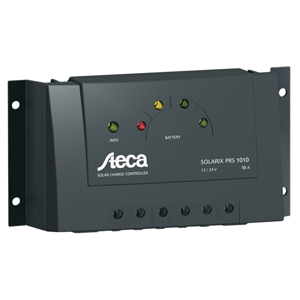 Totally sealed, splash proof, weather resistant design (Ingress Protection Rating IP65), the SCC-1208L Charge Controller automatically turns on lights when dark and turns off during the day. 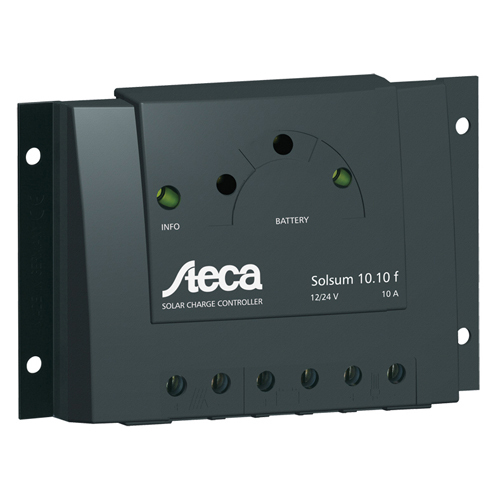 Comes with Mosfet based reverse current blocking that prevents night-time battery discharge and lowers power loss. 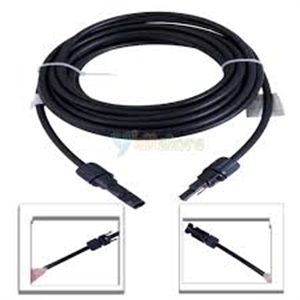 It has the following protections: Overload, Over-temperaure, Battery Under/Over Voltage, Reverse Polarity and a wide operating temperature range of -40 degrees C to + 60 degrees C.